This downloadable handout is best suited for high school students, elementary school students and adults at Intermediate (B1) level. 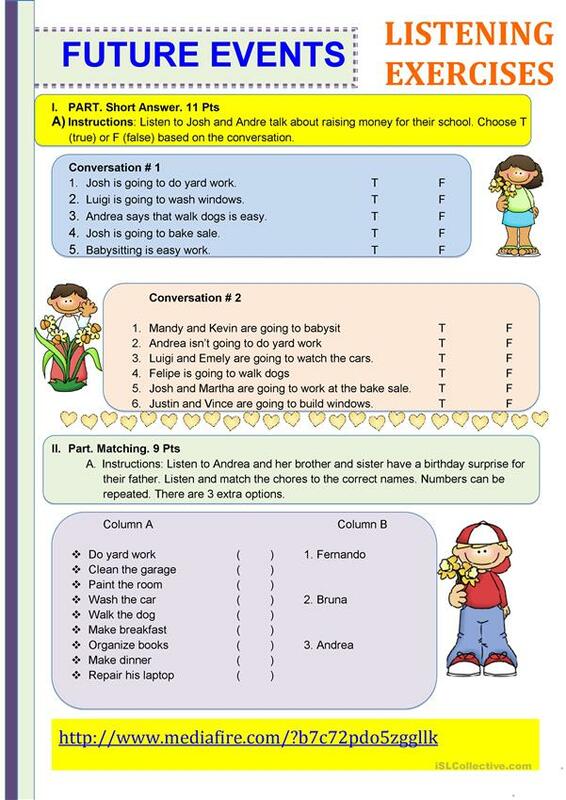 It is valuable for teaching Future tenses in English, and is useful for strengthening your learners' Listening skills. I work at High School and at the University here in my country. I love playing soccer.